Her performance at the ICC Women’s World Cup, 2017 made some major headlines. For the star on the rise, the last year might have started with an injury, but it went on to become one to remember! 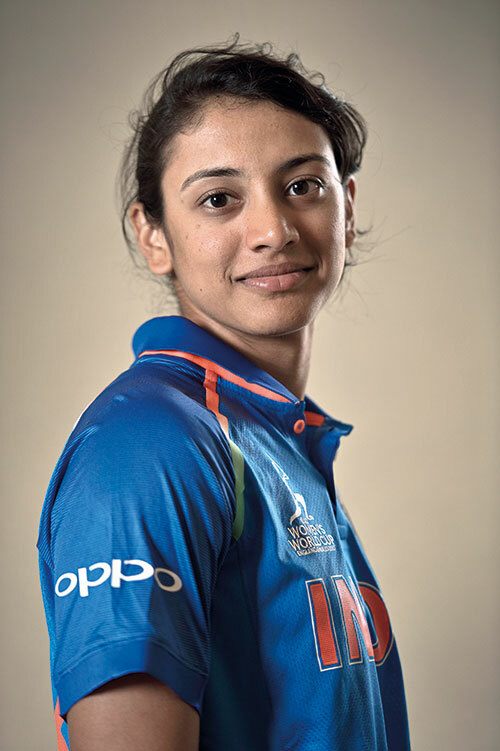 While the 224 Smriti Mandhana once scored at an U19 tournament is an innings the girl from Sangli will always hold close to her heart, she looks forward to being a regular part of the Indian team and perhaps lifting the World Cup too. You, in three words: simple, honest and disciplined. Your first tryst with cricket was…watching my brother and father play. When I was about four or five I began to accompany my brother to cricket practice. I started learning and eventually fell in love with batting. Interestingly, he was a left-handed batsman, and that is how I became a left-handed batsman too, even though off the pitch, I am right-handed. Cricket to you is…everything. Whatever I’ve done in life, in the last 10 to 15 years, is just cricket. I don’t have any other personal life, it’s just been cricket. Your most memorable on-field moment was…stepping onto the field for the World Cup final — that was the first time we were playing in a packed stadium. On your cheat day…I can eat whatever I want to. I definitely have bhel, because that’s my all-time favourite! Or I’ll be watching a movie. Three icons on the field are…my brother, Matthew Hayden, and of course Sachin Tendulkar! Favourite World Cup match was…the semi-final we played against Australia — that innings of Harman (Harmanpreet Kaur) was the highlight for me. Websites you frequent include…Cricbuzz and some Bollywood gossip pages. I also use Google quite often.